OpenText™ "Product and Services Catalog" - Open Text Web Solutions Usergroup e.V. 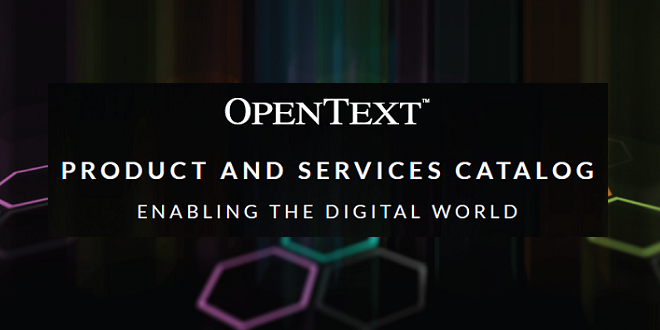 OpenText™ "Product and Services Catalog"
The OpenText Product and Services Catalog is an easy-to-read, indexed, and consolidated look at our key offerings. We have devoted one page to each product or service, including an overview, highlights, key integrations, and any supporting images or screenshots, so it's easy for you to find exactly what you are looking for.